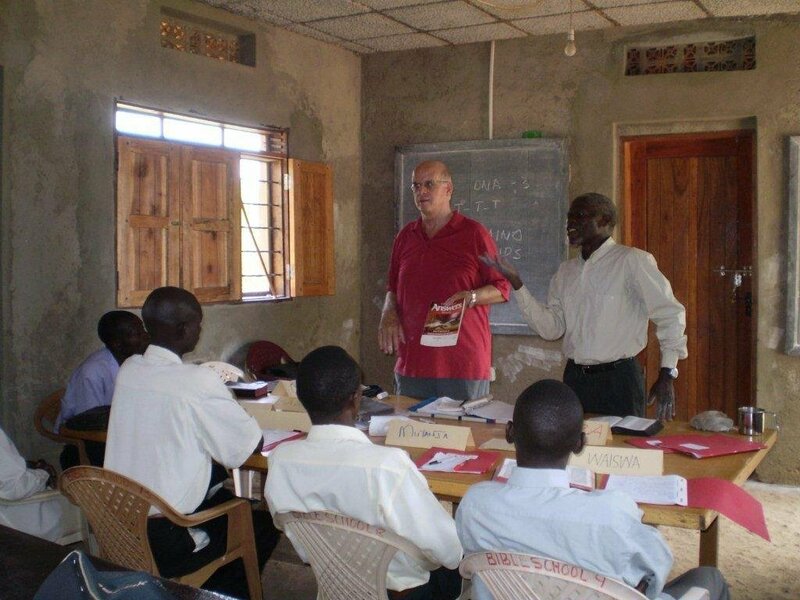 Dr. Norman wrote to us recently about where our New Answers Book popped up—in a class for Ugandan pastors! I thought you'd find the attached picture of interest, noting Ken Ham's latest “Answers Book.” Our team leader, unscripted and unplanned, happened to take this shot as I was teaching a class to pastors on Buvuma Island, Uganda. I was surprised to find that missionary George Smith there has a copy of Ken's book in his personal library, and he graciously let me use it for the class. Also, Pastor Alfred of Nile Baptist Church, in Jinja, has visited the Creation Museum. He says that evolution was becoming a problem in Uganda, and that pastors needed the truth of creation. This was the first time a specific class on creation was scheduled for pastors. I had used creation handouts in the past, including some booklets that you provided. We also gave out many AiG booklets, and flood and dinosaur cards. (Deuteronomy 3:28) But charge Joshua, and encourage him, and strengthen him: for he shall go over before this people, and he shall cause them to inherit the land which you shall see. We would like to go into all the world to preach, so we send missionaries in our place; we not only support them, but charge, encourage, and strengthen them with prayer.